'There followed a blue flash accompanied by a very bright magnesium-type flare ...then came a frighteningly loud but rather flat explosion, which was followed by a blast of hot air ...All this was followed by eerie silence. 'This was Cork doctor Aidan MacCarthy's description of the atomic bomb explosion above Nagasaki in August 1945, just over a mile from where he was trembling in a makeshift bomb shelter in the Mitsubishi POW camp. 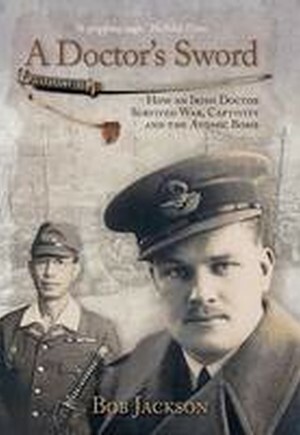 At the end of the war, a Japanese officer did the unthinkable: he surrendered his samurai sword to MacCarthy, his enemy and former prisoner.This is the astonishing story of the wartime adventures of Dr Aidan MacCarthy, who survived the evacuation at Dunkirk, burning planes, sinking ships, jungle warfare and appalling privation as a Japanese prisoner of war.It is a story of survival, forgiveness and humanity at its most admirable.